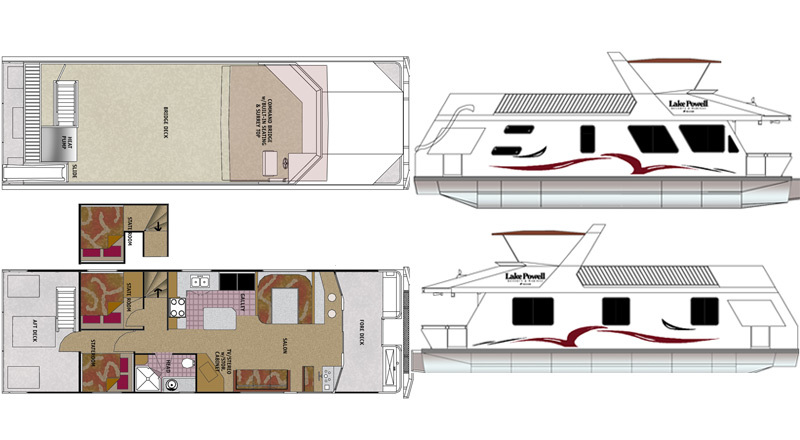 At Twin Anchors we custom build from the hull up; accommodating your every wish and whim is our pleasure. Having things your way never seems to happen often enough. 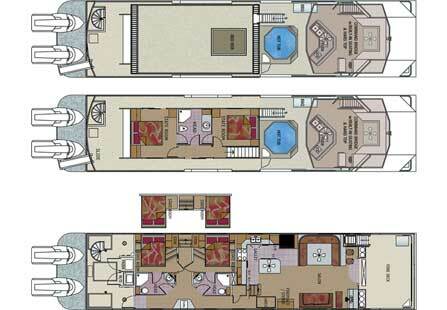 At Twin Anchors we custom build from the hull up; accommodating your every wish and whim is our pleasure. 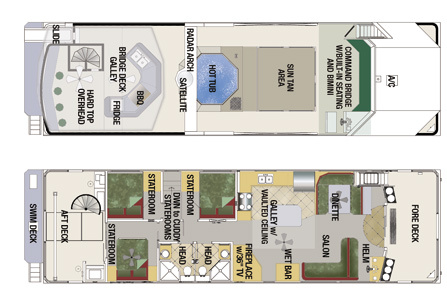 We have provided a few examples of floor plans we have designed and built. 10’6” beam – The widest width on most highways that does not require a pilot car. 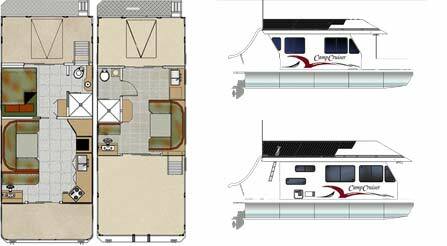 We have developed the 3510 TrailCruiser to fill this need. 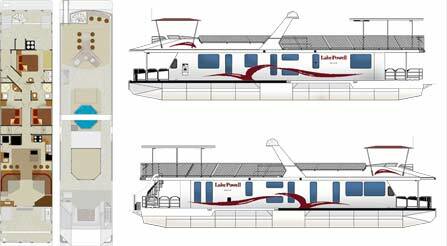 31’ length and 12’ beam – this size does not require a permit on Shasta Lake. The 3112 CampCruiser was developed to comply with this regulation. 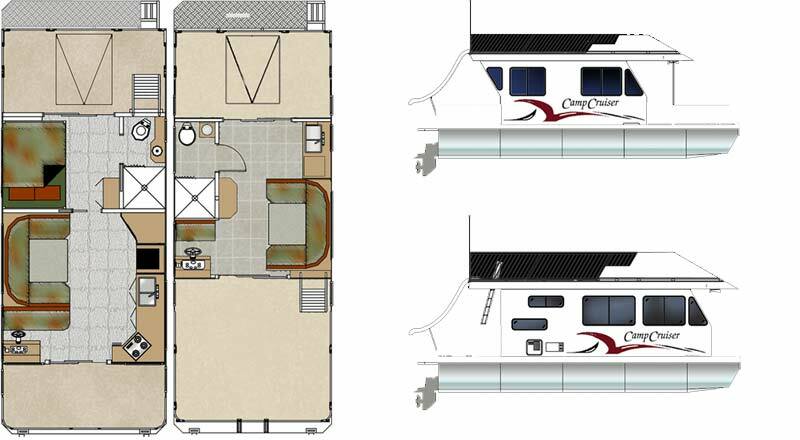 56’ length and 15’ beam – the maximum footprint on many Northern California Lakes. We have developed several models that comply with this regulation. 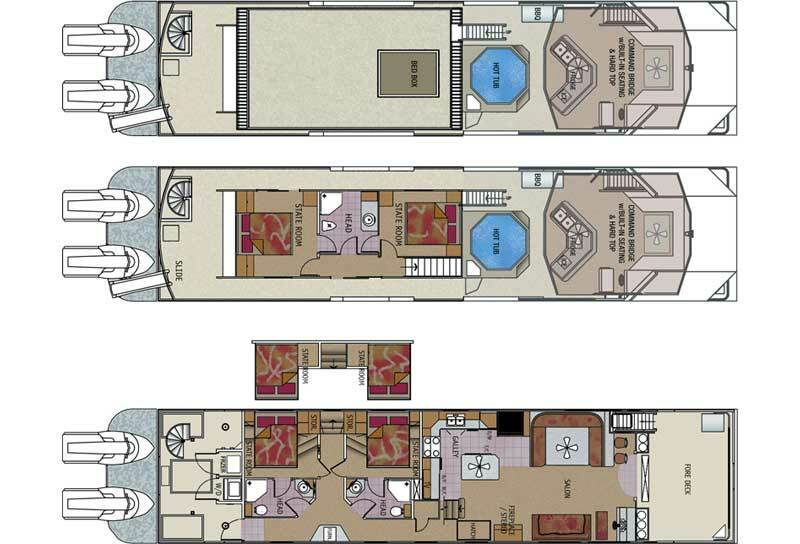 Other sizes from 60’ to 75’ have been developed over the years as the demand for larger and more luxurious boats has developed. 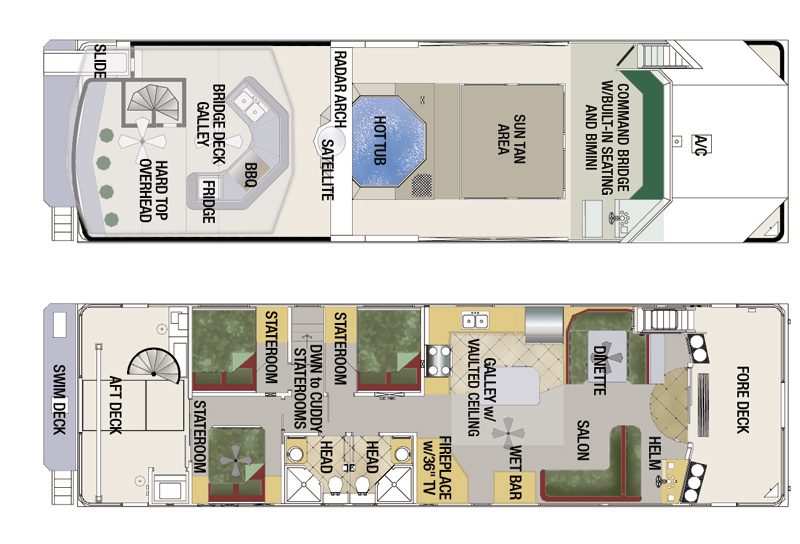 Remember, there is no additional cost for a custom floor plan. so have fun mixing and matching from these examples or creating your own unique design. 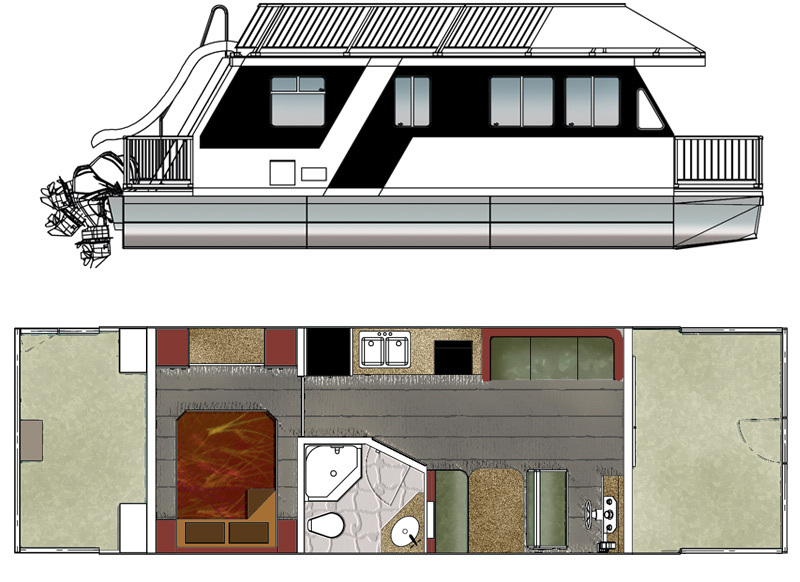 If you're ready to have us customize a luxury houseboat specifically to your tastes and needs you can contact us here or visit our Before You Buy page to get some more information you will need prior to purchasing a houseboat. 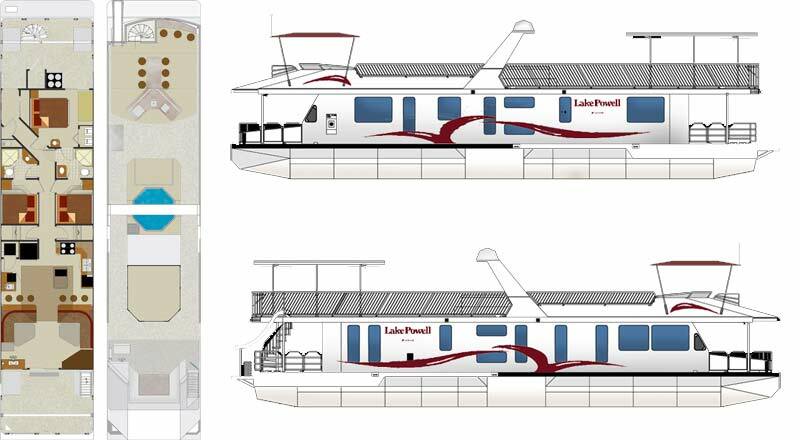 The Houseboat Gallery includes pictures of many more models in addition to these. Why not check it out? 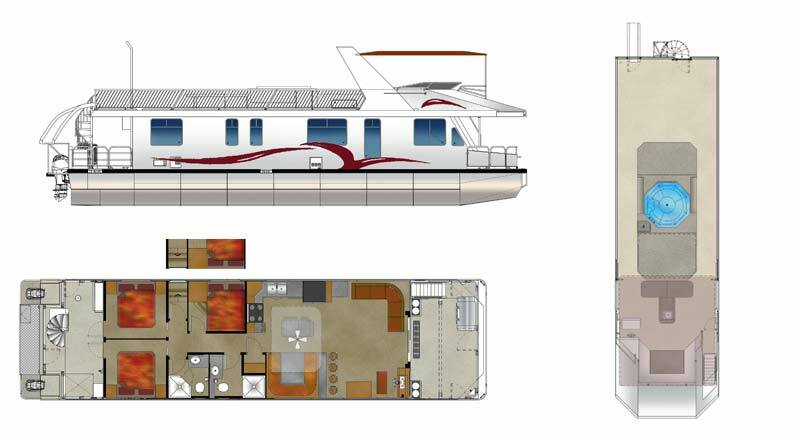 Now that you've seen some of the houseboats that are available for purchase and customization there are a few things to keep in mind. 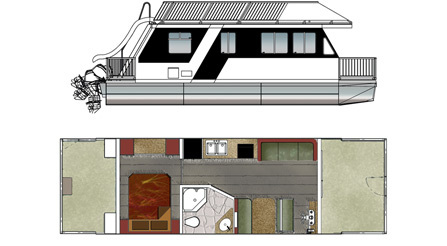 1There are some important issues that need to be addressed before purchasing a houseboat. Let us help you learn what's involved. 2Yes! 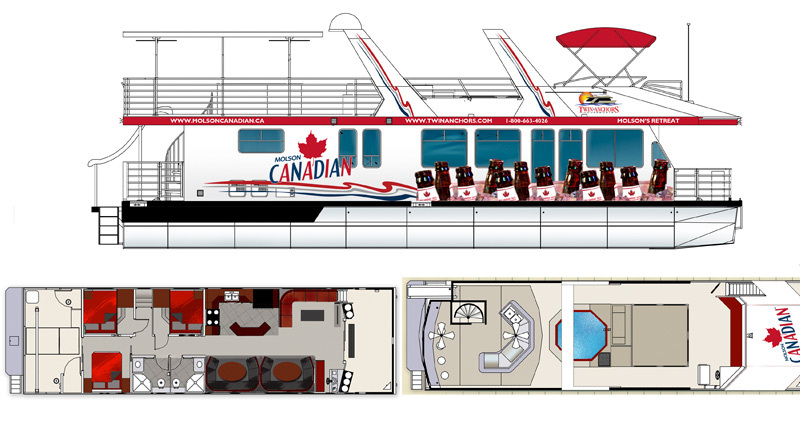 You can come and see our staff our operations in Sicamous. BC. We will even pay for your flight and car rental if you order a boat. 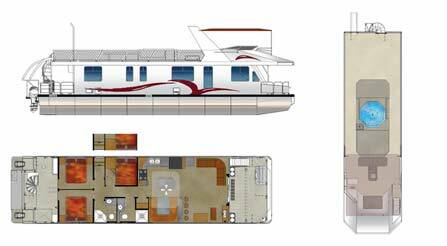 3We offer luxury houseboats for people who want the very best. Our history of building and running housboat fleets makes us unique. 4Call us today and we will take care of everything regardless of how far along the planning process you are. We will take care of you.